Appearing on a V Movie broadcast with emcee Park Kyung-lim, the two said the film, a war-themed action thriller, would draw the audience in. “It may feel like you’re actually inside the bunker,” Ha said. 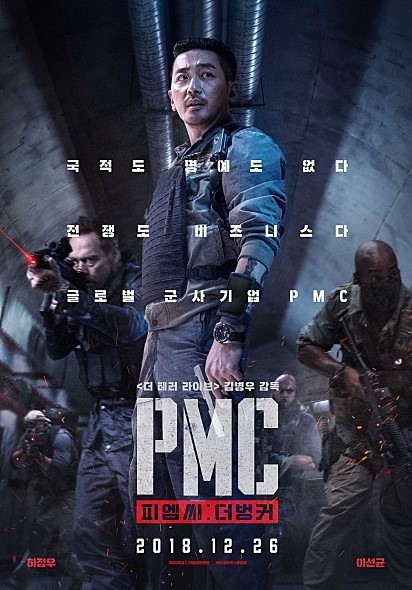 Directed by Kim Byung-woo, best known for the 2013 film “The Terror Live,” “Take Point” centers on a private military company -- a group of elite mercenaries hired for a secret CIA mission to abduct North Korea’s defense minister in an underground bunker below the Demilitarized Zone, which separates the two Koreas. Besides Ha and Lee, it stars Kevin Durand, Jennifer Ehle, Spencer Daniels, Robert Curtis Brown and Malik Yoba. It is set for release in Korea on Dec. 26. Follow the V Movie channel at https://channels.vlive.tv/FA1A3/home. 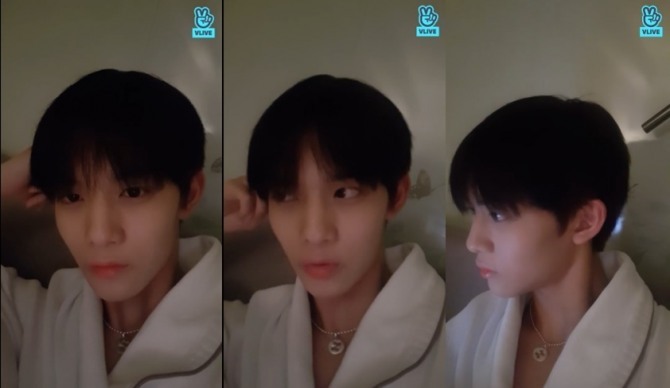 Wanna One member Bae Jinyoung gave a live broadcast from his hotel room in Hong Kong on Friday night, soon after the band performed at the 2018 Mnet Asia Music Awards. “Thanks to the Wannables, we received the honor of best male group for two years in a row,” he said. The Wannables are members of the band’s fan club. “I turned on the V app because I wanted to talk to you about it,” he added. Jinyoung revealed that it was his second solo broadcast and he still felt a little nervous and awkward. The livestream went on for nearly an hour and consists of two segments due to an interrupted connection. Jinyoung chatted casually with the fans, answering some of their questions. “I am listening to EXO’s latest album, ‘Love Shot.’ The title track is good, but I like ‘Wait’” he said. Watch his broadcast at https://www.vlive.tv/video/104298. Pledis Entertainment on Friday dropped a teaser for the music video “Getting Closer” from Seventeen. A hip-hop R&B song with a strong drumbeat and synth bass, the song was first unveiled at Friday’s Mnet Asia Music Awards in Hong Kong. The video is to be released online Dec. 21. 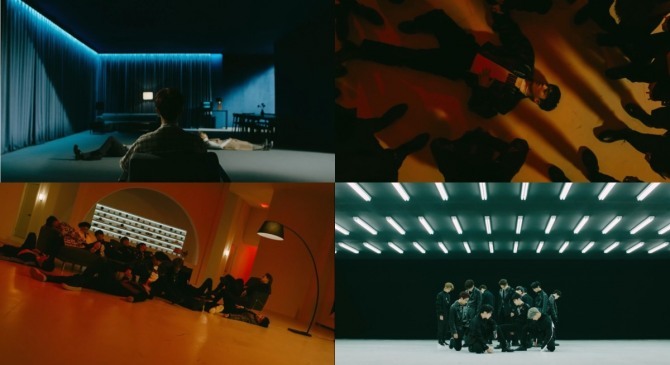 The 34-second clip carried the hashtag “YMMD Prequel,” prompting speculation about what’s next from the 13-piece K-pop boy band. Watch the teaser at https://www.vlive.tv/video/104262.